Peter J. Olson is an English major in a science world. As senior copyediting coordinator for Dartmouth Journal Services, he manages copyediting services for a variety of science and medical journals and has learned to navigate a sea of styles and style guides. In this month’s Shop Talk, he shares his tips on creating a strong internal style guide, his advice on working as a copy editor in the STM fields, and how he made the leap from Ben & Jerry to Strunk & White. First off, tell us a little about yourself. What led you to your current position with Dartmouth Journal Services? I’m a native of Chicago’s North Side and obtained my bachelor’s degree there, at a small liberal arts school called North Park University. Like many English Literature majors, I had no idea what I was going to do after receiving my degree—so naturally, I ended up in publishing. My first job out of school was as a fact-checker for a publisher of self-help and consumer-related books in the Chicago area, and I soon became a production editor there. A couple of years later, my wife and I decided to move to Vermont on what can only be called a whim, not fully appreciating how stingy the job market was there. After spending two years doing several odd jobs— including a stint as a tour guide at the Ben & Jerry’s ice cream factory—I responded to a want ad for a production editor at Capital City Press (CCP), a sister company of Dartmouth Journal Services (DJS), and got the job. Over the course of my time in that position, I found myself gravitating toward the “editor” half of the position, more so than the “production” half, and I honed my editing skills such that five years later I was a natural choice for the open position of Copyediting Coordinator. CCP closed its doors in 2006, but fortunately for me, I was able to make the transition to DJS with almost no disruption. Can you talk a little about what your job entails? DJS is a production service company that contracts with scientific, technical, and medical societies and organizations who self-publish their journals and other periodicals. I essentially manage all of the copyediting services for DJS, and because we work primarily with independent contractors, I oversee all aspects of copyeditor recruitment, evaluation, and placement. I spend a fair amount of my time making sure that we always have sufficient resources to keep our clients’ publications on schedule without sacrificing their quality and integrity. I also spend a good deal of time holding remote and internal copyediting orientations and seminars that are specific to each account, either in an individual or group setting, and by extension I often act as a quality assurance liaison between the client and the copyeditors. I’m heavily involved in the development, maintenance, and revision of internal style guides for our clients—particularly new clients, who often see their transition to DJS as an opportunity to revisit their style and reconsider how and why they do certain things. Finally, I act as a consultant for the various journal production teams at DJS, advising them on any unusual, convoluted, or highly sensitive editing issues that arise. The field of scientific, technical, and medical (STM) journals seems like a highly specialized one. What are some of the unique challenges of editing STM material? Being an English major in a world of scientists is by far the most challenging aspect, and it makes my job an interesting if not paradoxical one. I have to evaluate the grammar and syntax of a sentence and recognize when it’s incorrect or awkward, but I often have to do so in sentences containing scientific language that is incredibly advanced and thus completely unfamiliar to me. It’s usually pretty easy for me to recognize that a sentence is missing a verb or has unparallel structure; the hard part is often knowing what verb to use or how to make the structure parallel without having an in-depth knowledge of the subject matter. Over my many years of experience, I’ve been able to glean information as I go and familiarize myself with certain terms, concepts, and STM journal industry standards to broaden my skills and overall capability as an STM copyeditor; nevertheless, one of the greatest challenges is to avoid inadvertently changing the scientific meaning of a sentence in my attempt to make it grammatically or syntactically correct. I have to recognize when I’m in over my head so that I can ask the author for their input and have them verify that my edits have not altered their intent. I often give this piece of advice to copyeditors who work on STM journals: Know what you don’t know. Some would say this is impossible, but all I really mean is that you should look something up if you aren’t 100% certain it’s true, particularly if you’re about to make a change based on an assumption. One of my favorite quotes is from José Saramago’s book The History of the Siege of Lisbon: “He who does not know should have the humility to ask.” In the same passage, Saramago effectively says that hubris “rather than ignorance is the cause of the greatest blunders.” I think these are tenets that any copyeditor should live by, but they are especially important for non-scientists who are attempting to edit scientific material. There are quite a few style manuals out there, all with varying rules and purposes. How would you recommend an organization go about choosing one? Is it ever prudent to draw from multiple guides? I can really only speak to the field of STM journals, but a large part of the decision depends on the material you’re publishing, and some aspects of that decision are going to be more obvious than others. If you’re publishing a journal in any field of medicine, you’re probably going to want to select the American Medical Association (AMA) Manual of Style as your primary manual, purely because it’s going to address the terminology, nomenclature, other policy issues that you and your readers encounter as physicians, clinicians, and health care providers. The Council of Science Editors (CSE) Scientific Style and Format is usually going to be a better choice for experimental research and life science journals because it delves deeper into topics that are of importance to scientists who are spending most of their time in the lab. Chicago is often cited as a secondary resource in the STM journal industry because it’s much more general in scope; it’s an excellent (and many would say definitive) resource for grammar, usage, and format, but it’s simply not practical to cite it as the sole style manual for an STM institution. That said, I’ve seen several organizations do a fair amount of mixing and matching—for example, citing the AMA manual for units of measure, CSE for scientific terminology, and Chicago for grammar and usage. This makes sense in that there is no single general reference manual that can cover everything that is ever published in a given journal, particularly because so many journals are so highly specialized; part of the trick, though, is deciding which style manual should take precedence if two or more manuals promote different rules for the same topic. Do you ever recommend creating and maintaining an internal style guide as a supplement to a general style manual? If so, what are some principles and best practices for doing so? I absolutely recommend it, particularly if you’re publishing an STM journal. You can ascribe to as many general style manuals as you want, but I can guarantee you that you’ll nonetheless find one or more of the following things to be true: (1) certain components of your journal will not be covered in a general manual; (2) certain style rules will be stated too broadly to adequately serve the purposes of your journal; (3) you will want to tailor a style manual’s rules to your journal to satisfy your readership; (4) you will want your copyeditors to use author queries that are phrased in a precise way; or (5) you just want to be different. For example: One of DJS’s clients publishes a cardiology journal, and although they follow AMA almost religiously, there are certain cardiology-based abbreviations that AMA dictates should be defined at first mention, including RBC (red blood cell) and COPD (chronic obstructive pulmonary disease). However, because cardiologists make up the vast majority of the journal’s readership, the journal risks patronizing its readers by spelling out these abbreviations each and every time they appear—so they’ve elected to modify AMA style and make these abbreviations standard. You have to have some kind of supplemental documentation that makes this type of exception and/or modification clear. With regard to best practices, I would avoid repeating information from a general style manual in an in-house style guide as much as possible. This is not to say there is no merit in repeating or elaborating upon certain style points, particularly if doing so clarifies those points further, but it should be kept to a minimum so as to reduce any errors in transcription. I would, however, try to include comprehensive yet concise examples of some of the more complicated style rules in a supplemental style guide so that there is no question about how a complex situation should be handled. Finally, when you’re developing a supplemental guide, try to think like a copyeditor when structuring it—meaning, try to anticipate where a copyeditor might look for certain information, then categorize and organize the style points accordingly. For example, if you want to include a rule about whether to use a comma in numbers with four or more digits, place that rule in a section on numbers, not a section on punctuation. In that case, the focal point of the copyeditor’s question is what to do with the number, so they’ll be more inclined to search for their answer in a section that is about numbers. What advice do you have for someone considering copyediting as a career? Make sure you know what it is you’re getting into. Take an online course or two, and if you have any friends, family members, or acquaintances who are copyeditors, talk with them about what it really means to be a copyeditor—because depending on what you think it means, you may find that you’ll be charged with all kinds of tasks that you don’t know how to do and/or don’t want to do. This is particularly important if you want to get into STM journal copyediting, which can sound intriguing and exotic to an aspiring copyeditor but requires a level of vigilance, focus, and tenacity that is not for the faint of heart. Also, if you aren’t already tech-savvy, do what you can to become tech-savvy—and fast. We’re well into the electronic age, and more and more organizations are requiring that their copyeditors have advanced knowledge of various software tools and programs and possess at least a basic understanding of HTML coding and how to apply it. Finally, STM journal publishers are reducing their time to publication further and further, so copyeditors need to adopt technological means of working quickly and efficiently now more than ever. Finally, what are your favorite writing and/or editing resources? I’m old school, so I’m of course going to lead off with Strunk and White’s Elements of Style. Given the field I’m in, though, I’ve found Mimi Zeiger’s Essentials of Writing Biomedical Research Papers (2nd Edition) to be extremely helpful. It’s definitely geared toward writers more than editors, but one of the crucial aspects of being a successful STM copyeditor is to possess a clear and holistic understanding of how research articles are written and assembled. It’s much easier to know what to look for as an editor and to foresee the ramifications of certain edits and queries if you have a firm understanding of the author’s goals and the requirements their publisher has asked them to fulfill. Zeiger’s book is an excellent introduction to the world of STM journal articles. 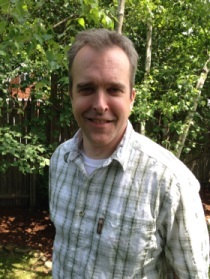 Peter J. Olson, ELS, has been the Senior Copyediting Coordinator at Dartmouth Journal Services in Waterbury, Vermont, since 2001. He manages the journal copyediting services for several scientific, technical, and medical societies and publishers, including the American Academy of Pediatrics, the American Diabetes Association, and the National Academy of Sciences, and has developed publication style guides for several of these institutions.